Rated 4.5 out of 5 by 62 reviewers. let's face it, cats love to nap! My cats love this food--too much! 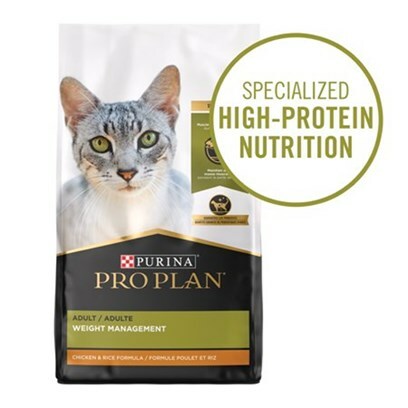 A weight management formula cats actually eat! Cats seem to like it just fine. Vet recommend and he loves it! Excellent product for indoor cats. Weight management food cats like! Our Cats Like It and We Do, Too. "Buddy Is A 'PROPLAN MAN' !!!! Great food for my cat with allergies! High Protein & Weight Loss! Cats liked it and they lost weight!